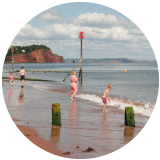 A classic and traditional Devon seaside resort, with a long promenade and Victorian pier, Teignmouth is a great place to explore. 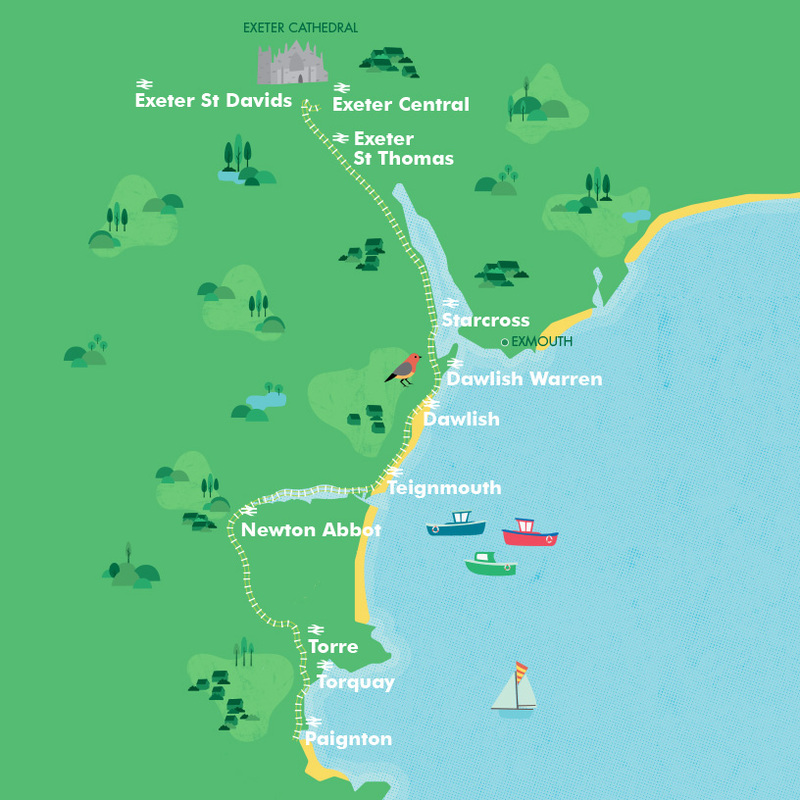 Arrive on one of the most scenic stretches of railway in the country, and then relax with a paddle in the shallow sea, or enjoy some wonderful food – with fresh, locally-caught fish available on many award winning menus in the town. 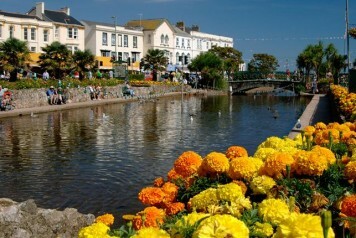 The town is served by one of the country’s most loved sections of railway, hugging the Devon coast. Enjoy a paddle or take a swim – right on the doorstep of the town. 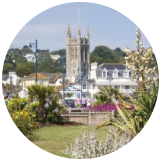 Teignmouth’s maze of backstreets offer a wealth of independent shops, galleries and inns. 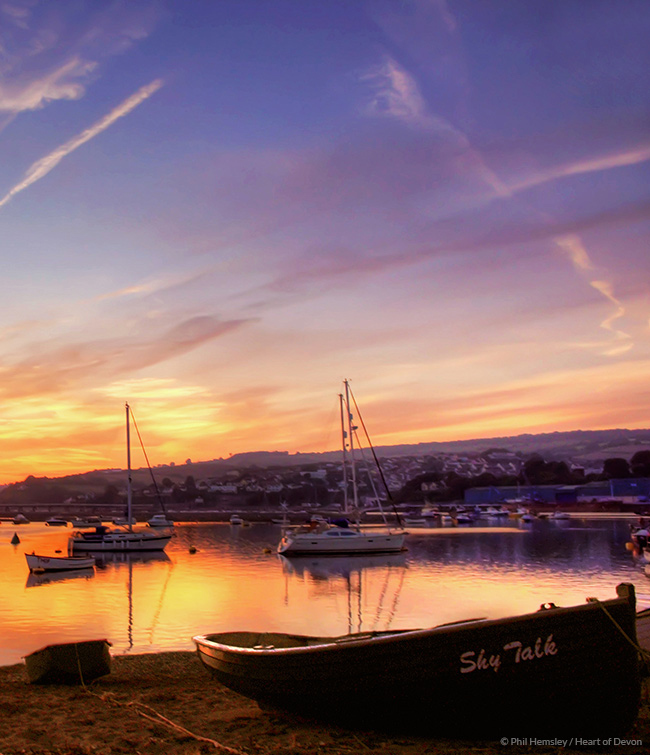 A short ferry ride from Teignmouth is the village of Shaldon, with plenty more places to eat and drink and more to explore. 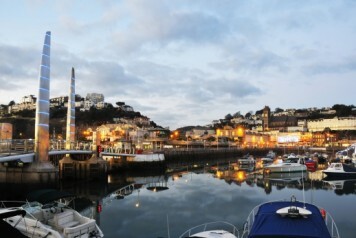 Torquay’s iconic palm trees, busy harbour and international marina make it a firm favourite for all the family. A Regency resort town, famous for the way the railway runs right along the town’s seafront, separating the town itself from the beach and sea.